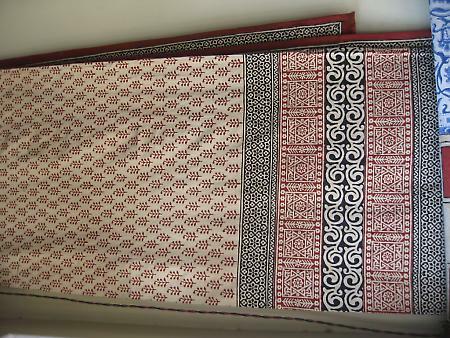 The block print in Bagru is done mainly in beige, red and black. Shades of blue with much use of indigo blue dyeing processes is a characteristic of this centre. Bagru is also famous for its mud resist process Dabu and direct printing. The motifs are simple and include floral and linear patterns.